Windows can be divided into a number of design categories. However, there is no standard uniform separation of the different types of windows available. The single window is the most popular design of window used in Europe. This window desgn comprises a single sash frame profile. 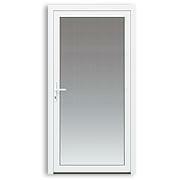 Within this profile or frame construction various types of glazing can be fitted. The window frame is securely fixed within the wall construction. 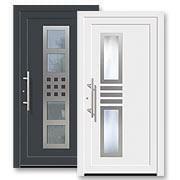 The window casement is fitted with appropriate hinges and fittings and the selected type of glazing. The frame material can be produced from a range of different raw materials: wood, PVC or aluminium. The first single construction windows were fitted with single-glazing. These panes of glass could not contribute very much in the way of insulation and were very poor as both heat or sound insulators. For this reason this particular type of window is no longer permissible for heated rooms within the Federal Republic of Germany. Today's single unit windows are equipped with multi-pane insulation glazing. The window itsef comprises a minimum of two panes of glass. Between the two (or more) panes there is a gap which provides an inner chamber. This separation chamber is either filled with air or a gas. Within the range of insulation glass there are several different types, each possessing different properties. One finds sun-protection glass, thermal insulating glass or sound-proofing glass. Multi-pane insulation glass - as a result of modern multi-pane technology - provides excellent insulation properties. Double windows are used when the window opening is closed using two separate single windows. Both single window units are placed one behind the other, so that one window is placed inside and the other is situated outside. The windows are then opened separately from each other, one is opened inwards and the other outwards. The double window presents better thermal and sound insulation than a simple single window, but they are rarely used nowadays thanks to more modern window designs. 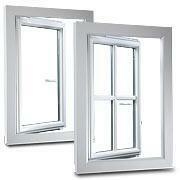 Double windows can also be split into two separate groups: box double windows and coupled windows. The latter separation of window designs is that used most frequently. It gives a more accurate picture of the window elements employed.